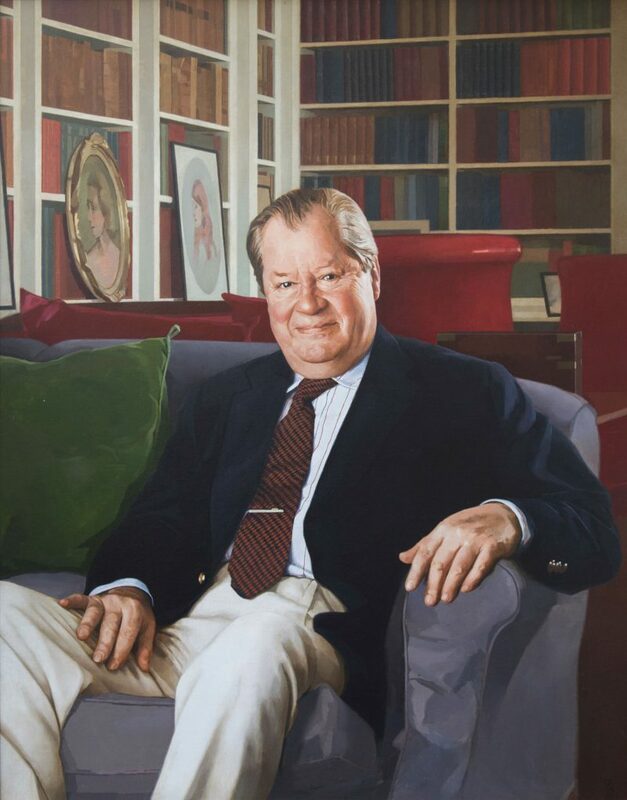 In 2015 Charles, 9th Earl Spencer, commissioned a portrait of his late father from the artist. It now hangs with the other family portraits in Althorp, at the head of the grand staircase. The late Earl is depicted sitting in Althorp’s library. Propped against the bookcase in the background can be seen portraits of Diana, Princess of Wales, her siblings, and her mother Frances Shand Kydd. 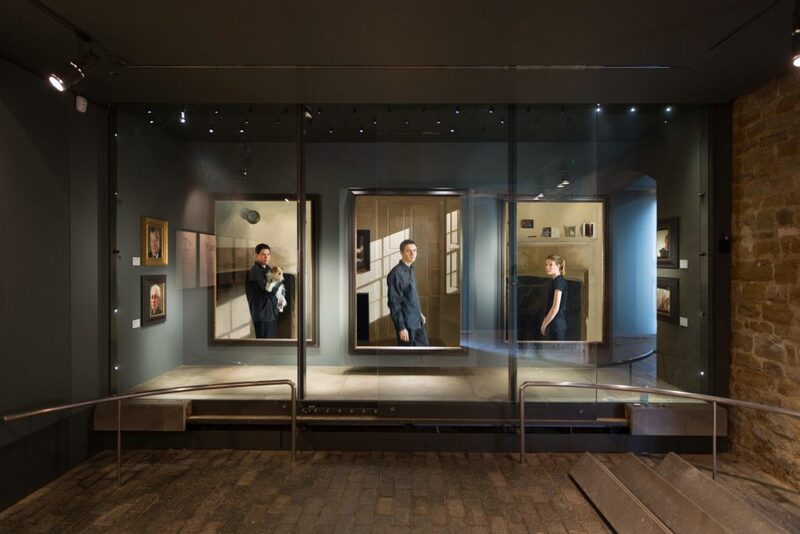 This exhibition is selected work from the artist’s own collection. Included in the 36 works on show are a number of drawings, still life and landscape paintings as well as portraits.